A treadmill is a popular piece of home exercise equipment for several reasons. It’s convenient to have a workout option at home so that you can fit in a session whenever it’s possible. Running or walking on your treadmill is a healthy way to burn calories and work the muscles throughout your body, something that is linked to better health and a lower risk of many health problems, from obesity to heart disease. With so many treadmills on the market, it can often be difficult to choose the right one for you. It’s important to avoid buying the first one you look at. Instead, spend some time exploring your options so you’re sure you’re getting what you want and need from your treadmill. You can spend a lot or not quite so much and there are quite a few features and perks to think about as you shop. Online shopping is a great way to look at reviews and ratings for a particular model, but shopping in store is also helpful as you can talk to the staff about the choices you have. Knowing which treadmills are the most highly ranked gives you a great place to start. You’ll know which products other users are happy with and won’t have to waste time looking at those that might not meet your needs. Here are the top six treadmills for using at home. This treadmill has a powerful 3.75 CHP motor, making it one of the best on the market. 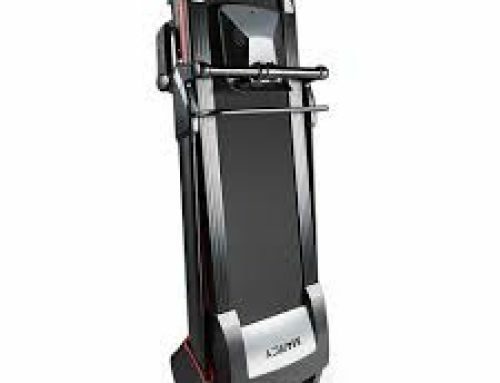 This gives you a top running belt speed of 22 kph, which allows you to do anything from walking to sprinting on the same machine. There’s also a 3 percent decline and a 15 percent incline, giving you even more opportunities to work your lower body and boost your overall calorie burn. In addition, the treadmill features a 10-inch screen with touch display. Use it to sync with iFit Coach functions so you can run virtually anywhere in the world, right in the comfort of your own home. 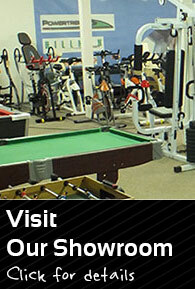 The machine offers a map that’s updated daily as well as over 50 included workout videos. The Bluetooth chest belt makes it easy to keep track of your heart rate as you work through any of the exercise options. The Proform Pro 500 also boasts a cushioned running space, which is easier on your joints, a large 55 cm x 152 cm running deck and is easy to fold and stow when not in use. You’ll love the two water bottle holders, workout fan, tablet holder and built in speakers as well. Not only is this treadmill effective, but it makes working out entertaining. This high spec treadmill is created specifically for home use and has all the bells and whistles to go with. The large running surface is 1100 mm by 400 mm and offers improved grip and reduced bounce, making your workout more comfortable and less prone to injury. When it comes to workout options, this treadmill features a 10 percent incline and a large LED display to custom fit your run any day. There are 12 automatic programs and one manual one, giving you plenty of options for creating an exercise program that works best for you. The quick speed controls help you get started easily with just a touch of a button. The accessories on this model make running or walking convenient and include a towel rail and a water bottle holder so you have everything you need close by. The handrails have heart rate sensors and allow you to control speed and stop and start the treadmill. There’s also an emergency stop key and built in speakers. When it comes to treadmills, this one gets high ranks for several reasons. It’s a great model for keeping ready to use at home and is easy to assemble and store when not in use. The treadmill features a simple design that takes some of the guesswork out of running at home. There are 12 automatic programs and a manual one, as well as quick keys on the monitor, making it easy to choose a running program and get started on it. The Nero Pro allows you to track your fitness and lets you switch things up using Google maps so there’s always a new option for keeping your workout fresh and interesting. You can sync it with Bluetooth devices, such as you tablet or smartphone so you can listen to music or other audio while you run, jog or walk. You can also take advantage of the 10 percent incline to maximise your workout and increase the difficulty as you get stronger and build your endurance. The treadmill comes mostly assembled, allowing you to start using it almost right away. Other features include an emergency stop and a durable steel frame. If you want to train for trail running or a marathon, this is the treadmill for you. It’s a heavy-duty choice with a powerful 2.5 CHP motor and can reach speeds of up 11 kph. The quick speed buttons make it a breeze to switch things up while you run and create the right workout for your wants and needs. With an incline range of 0 to 10 percent, you can completely customise your run, jog or walk. Use the 5-inch backlit LED display and the iFit Coach functionality to further enhance your exercise session with a large range of destinations and interactive exercise plans to suit your needs. In addition to these trainer certified programs, there are also 19 pre-set apps. 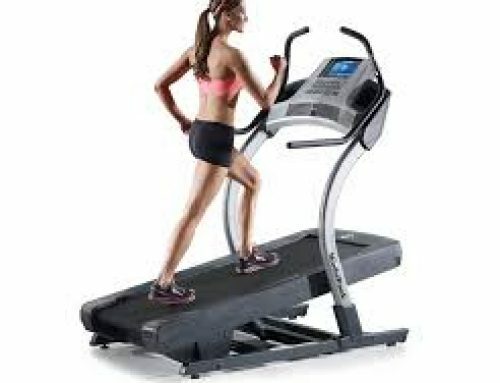 This treadmill also offers a large 51cm running platform that ensures a natural stride and is cushioned for comfort and joint protection. When you’re not using the Proform 505 CST, it’s easy to fold and store out of the way. The digital controls on this treadmill are unlike anything you’ve ever seen and make it so easy to use. Changing speeds is smooth and safe and so easy to do with the handrail controls. Creating your own home workout is fast and simple when you have it all at the touch of the screen. With a running deck of 123cm x 41cm, there’s ample room to run, jog or walk with a natural stride and the well cushioned design offers joint protection and makes for a more comfortable workout. Customising your exercise session is easy with the 15 programs and 20 level incline that makes this machine ideal for all kinds of users, from beginners to pros. Simulating the feel of running on the road is another feature that makes this a top choice for home use. The JLL S300 boasts a wide range of features that make it convenient and fun to use. That includes two water bottle holders, high powered speakers, compatibility with smartphones, USB cables and MP3 players. 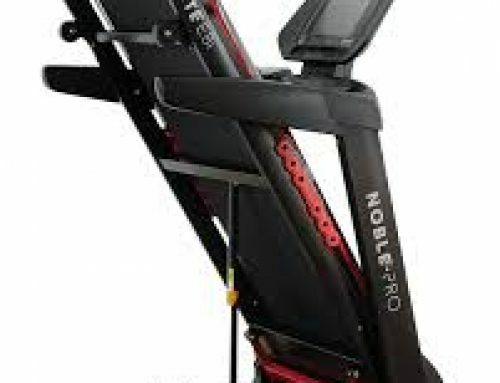 The fold and drop system makes it a breeze to stow the treadmill when you’re not using it. With a name like Reebok behind it, you know you can count on this treadmill to meet your workout needs and allow you to fit exercise in at home. This model features a 12-horsepower motor and top speeds of up to 16 kph. It’s great for short sprints and longer distance training sessions, making it ideal for runners of all types and ability levels. The Reebok ZR8 features 12 incline levels and a ZigTech cushioning that gives you lots of options for creating a workout while also being safe and comfortable throughout. The machine comes with 24 fitness programs that are anything from a gentle jog to a run through the hills. While you’re running, you can hook up your smartphone and listen to your playlists to stay motivated until the end. With a spacious 126cm x 41cm running deck and a maximum user weight of 110kg, the treadmill is ideal for many users, large and small. The soft drop folding technology makes the machine simple to store between uses. You’ll also love the LED display, hand pulse sensors and soft motor that reduces noise.